Sephardim, or Sephardic Jews, are descendants from the Iberian Jews expelled from Spain and Portugal in the late 15th century. They speak a language known as Judeo-espagnol, or Ladino, which is derived from Old Spanish and other Romance languages with heavy influences of Hebrew and Aramaic, as well as the languages of the Ottoman Empire. For many centuries they flourished in communities throughout the Mediterranean, especially in present-day Turkey, Greece, and the Balkan countries. During the Nazi occupation of the Yugoslavia and Greece, most of the Sephardim were deported to concentration camps, where the majority of those perished. The following bibliography was compiled to guide readers to materials about the experiences of Sephardic Jews during the Holocaust that are in the Library’s collection. It is not meant to be exhaustive. Annotations are provided to help the user determine the item’s focus, and call numbers for the Museum’s Library are given in parentheses following each citation. Those unable to visit might be able to find these works in a nearby public library or acquire them through interlibrary loan. Follow the “Find in a library near you” link in each citation and enter your zip code at the Open WorldCat search screen. The results of that search indicate all libraries in your area that own that particular title. Talk to your local librarian for assistance. Argues that the Holocaust is incorrectly perceived as an event that affected only Ashkenazi Jews in Eastern Europe, and not Sephardic Jews, and that this popular misconception has resulted in a dearth of analysis on the experiences of North African and Balkan Jews, especially the Sephardim, from the scholarly record. Includes research notes for further study by country, and endnotes. Reviews Sephardic history from settlement in Spain, through the expulsions of 1492, and the destruction of Sephardic communities during the Holocaust. Presents a country-by-country account of the Sephardic Jews living in Austria, Denmark, France, Greece, Italy, the Netherlands, Portugal, and Yugoslavia. Also includes a section on Sephardim today. Documents the history of Sephardic Jews from earliest known history to the present. Includes photographs, color reproductions of artwork and other artifacts, documents, maps, and a bibliography; text is bilingual in English and Judeo-Spanish. Presents the country-specific Holocaust history of Sephardim from Bulgaria, France, Greece, Holland, Italy, North Africa, and Yugoslavia. Includes timelines, personal accounts, photographs, maps, endnotes, and classroom activities for teachers and students. Details English-language publications on Sephardim during the Holocaust. Includes lists of Sephardic organizations, journals, publishers, and newsletters. Also includes Holocaust vocabulary, chronology, maps, and statistics about the destruction of Greek Jews. Discusses the actions of Jewish community leaders in Salonika and Athens in light of the deportations and various occupation policies for the Nazi or Italian zones. Includes endnotes. Describes the cultural and social development of Sephardic communities during westernization and political movements leading up to the Holocaust. Includes endnotes, a bibliography, and an index. Discusses Sephardic Jewry during the Iberian and Ottoman eras prior to the establishment of Yugoslavia. Compares assimilation tactics of Ashkenazim and Sephardim during the interwar era, with special attention to the development of a Yugoslav Jewish identity, and the occupation of Macedonia and deportations during the Holocaust. Includes footnotes, review of sources, and a bibliography. Contains 21 essays delivered on various aspects of Sephardic communities during the Holocaust including the destruction of European Sephardim, reactions of the Sephardic communities in the United States, and the role of Middle East and North African Jews. Includes several personal testimonies and chapter notes. Each essay was originally presented as a speech via the Jacob E. Safra Institute of Sephardic Studies of Yeshiva University. Traces the history of Sephardic Jews before and during the Holocaust as shown through Sephardic poetry created during the Holocaust. Poems provided in the original Judeo-Spanish and in English. A bibliography and an index are included. Surveys community life of Salonika Jews, including weddings, education, births, family life, death, festivals, superstitions, and medical practices. Contains photographs, songs, a glossary, proverbs, a bibliography, and an index. Analyzes strategies of the Jewish community to respond to economic, political and social changes in Greece, including regime change, Nazi occupation, deportation, and the rebirth of communal life. Includes photographs, deportation testimonies, endnotes and an index. Presents photographs and brief historical accounts from the traveling exhibition of the same name. Further information and details on the exhibition can be found online (external link). Presents the personal accounts of Bennahmias who was one of the few Auschwitz Sonderkommando to survive the revolt. Includes his account of deportation as a Greek Jew with Italian citizenship, his forced labor at the gassing operations, participation in the uprising in Birkenau, and his eventual liberation and return to Greece. Compiles accounts of Jewish survivors and their life stories from Greece before, during and after the Holocaust. Includes a brief history of Greek Jews during the Holocaust, a map, and photographs of victims and their families. Portrays the late 19th- and early 20th-century history of the author’s family and documents the experiences of Sephardic Jews across Europe in the years before the Holocaust. Includes a bibliography, glossary, references, and an index. Presents the author’s memoirs of childhood in Salonica before the war, the German occupation, and his deportation to Auschwitz and eventual liberation. 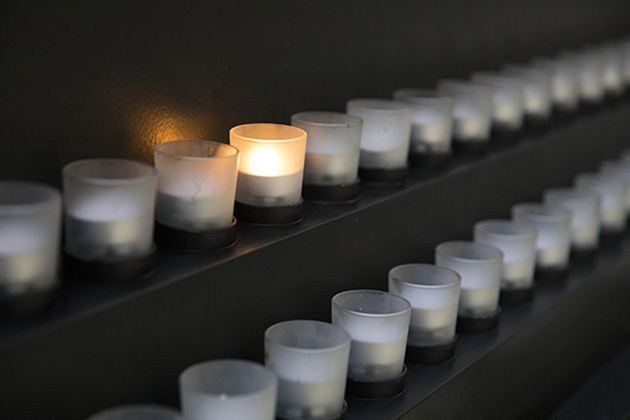 Discusses diverse collections of Sephardim testimonies which demonstrate the diversity of persecution experiences across Europe, including Auschwitz, the Warsaw Ghetto, and the Birkenau revolt. Includes endnotes. Presents the personal account of Jamila Kolonomos, a Jewish partisan in Yugoslavia, in order to explain the story of the Sephardic Jews of Monastir as well as local partisan activities during the Holocaust. Also highlights the unique Sephardic history of the Jews of Monastir. Includes maps, photographs, an index, appendixes of personal documents, and chapter notes. The author’s memoirs of her life before the Holocaust, over two years in Auschwitz, her escape from a death march and eventual return to Greece. Includes family photographs and documents. Memoir of the author’s 27 years living on Rhodes, including the history, physical descriptions of Rhodes, as well as Sephardic customs and traditions. Written in both English and Ladino, it contains photographs, proverbs, songs, and a bibliography. The author’s account written immediately after liberation, tells of his prewar life as a doctor and his deportation to Auschwitz. Includes descriptions of working alongside his fellow Sonderkommando in the gassing operations and the arrivals of Jews from Lodz and Theresienstadt ghettos. Includes author’s illustrations of the camps and the crematoria. Reassesses the actions of the last chief rabbi of Salonika, Tzevi Koretz, in light of archival documents and the passage of time, to discuss his role in the deportations of the Jewish community of Salonika and the postwar perceptions of his leadership and shortcomings by survivors in Israel and Greece. Presents the author’s account of life in Athens before the war and later his imprisonment and liberation from Auschwitz. Includes endnotes, photographs, and a bibliography. Analyzes the experiences of Sephardim in France during the Holocaust with special attention to Jewish resistance, the plight of children, Italian Jews, and life after the Holocaust. Includes documents, photographs, maps, and chapter notes. Traces the history of Jews in Rhodes from the 15th century to 1945. Analyzes economic and social life, women, relations with non-Jews, literature, and the Holocaust. Includes photographs, chapter notes, a bibliography, and an index. Discusses the history of Greek Jews from pre-World War I to the end of the Holocaust with attention to the deportations, life in the camps, medical experiments, and survivors. Includes an appendix of victim statistics per city, chapter notes, and an index. Documents the history of the Sephardic community in Monastir, highlighting roughly 100 years of culture, society, and history. Includes maps, photographs, a deportation list, Sephardic songs, poems, and other local writings with English-language translations, notes, bibliography, and an index. Provides an account of the destruction of 27 Greek Jewish communities. Each entry includes photographs of memorials and monuments to the community, prewar history and an account of the destruction. Also includes statistics on Jewish victims, and bilingual English and Greek texts. Discusses the lack of scholarship on experiences of Sephardim during the Holocaust, and seeks to provide an overview of Sephardic history within a European context. Originally delivered as the 2004 Ina Levine Lecture. A discussion of the destruction of Salonika Jewry based largely on accounts received by the author when visiting immediately after the Holocaust. Traces the history of Jews living in the Ottoman Empire during its dissolution and their fate in the interwar and Holocaust periods. Includes photographs, footnotes, a bibliography, and an index. Presents the author’s diary that she wrote as a young girl who went in hiding after escaping from the Salonica ghetto. Includes photographs, the original diary pages in Greek, and English-language translations of her entries as well as contextual explanations by the author. Analyzes three accounts written during and immediately after the Holocaust by leaders of the Salonika Jewish community. Reproduces the 1941 document titled ‘Reorganization of the Jewish Community of Thessaloniki.’ Includes a list of additional sources. Presents an English-language translation of Kuonio’s diary which he kept from the time of his deportation, March 1943, until liberation, through the camps of Auschwitz, Mauthausen, Melk, and Ebensee. Includes copies of documents with translations, photographs, chronologies, statistics, a glossary and endnotes. Presents English-language translations and original Greek-language documents from the archives of the Jewish community of Thessaloniki to demonstrate Jewish communal life, education, and civic engagement activities before the Holocaust. Presents entries from the personal diary of Captain Merci, an official at the Italian consulate in Salonica, who assisted with rescue activities on behalf of local Jews. Online article describing the experiences of Sephardim during the Holocaust and providing links to other articles, photographs, personal histories, and maps. Historical information on the Nazi occupation of Greece and 8 different communities, including a bibliography for further reading. 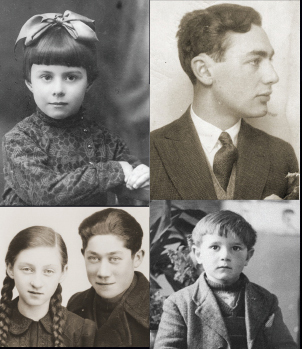 Provides primary source materials including artifacts, letters, photographs, and recordings to show the diversity of experiences of Sephardic Jews before and during the Holocaust. Includes information on the Jews of Monastir (Bitola) and copies of portraits submitted in 1942 to the authorities for each person in the ghetto.